Increase efficiency and productivity through our software solutions. 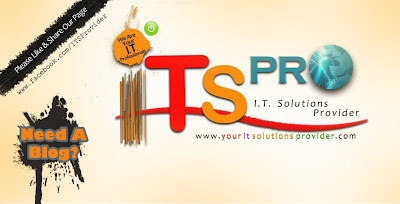 The ITS PRO will provide solutions from individuals to small and medium-sized businesses, cooperatives, companies and corporations through various implementations of software solutions such as accounting, inventory, customer relationship management, human resource management, record keeping system, daily time records system, payrolls systems, sales and other custom software solutions. The ITS PRO software solutions team is composed of reputable IT professionals who have solid experienced in software development. The team will provide high quality software services that are customized for all your needs. Your IT Solutions Provider Inventory System is an advanced inventory software designed for wholesale and manufacture businesses. This system has several advantages, including the Return Merchandise Authorization function, hierarchical groups for products, import and export functions for QuickBooks , PDF and XML files, multi-currencies and expiration dates features. This inventory software has the flexible security function. You can define access rights for each your employee. Your IT Solutions Provider Inventory system works with MS SQL Server and MS Access database files. Now, our system calculates item costs using FIFO and Average methods. You'll be able to create orders and invoices very fast and send them via email to your customers. This is a very flexible inventory software with a lot of options. Our inventory software can handle more than 100'000 items. You can install free MS SQL Server Express Edition on your server and Your IT Solutions Provider Inventory software on your computers and you'll obtain a very powerful network inventory system for any size business. We specialize in the development of Your IT Solutions Provider. Specifically, our company carries out custom programming, database design, client-server and internet/intranet software application development. Over the years we have managed to build a solid team of software development professionals that come from various backgrounds and expand the creative potential of the company. The expertise that they posses embraces a wide range of custom programming skills involving the latest and most effective development technologies, such as php (vb, C, VB.NET), HTML and many more. This to a great extent defines the quality and reliability of the custom software applications that we develop. Customized SoftwareCustom Software is a type of software developed specifically for a set of users or customers. Unlike Commercial Off-the-shelf Software, Custom Software is developed for a specific need of one customer and can be optimized for that need and dispense with unwanted functionality. Moreover, Custom Software can more easily be adapted to the unique security needs and artistic design often desired by companies, business entities, and organizations. Done right Custom Software benefits by serving one master not many.